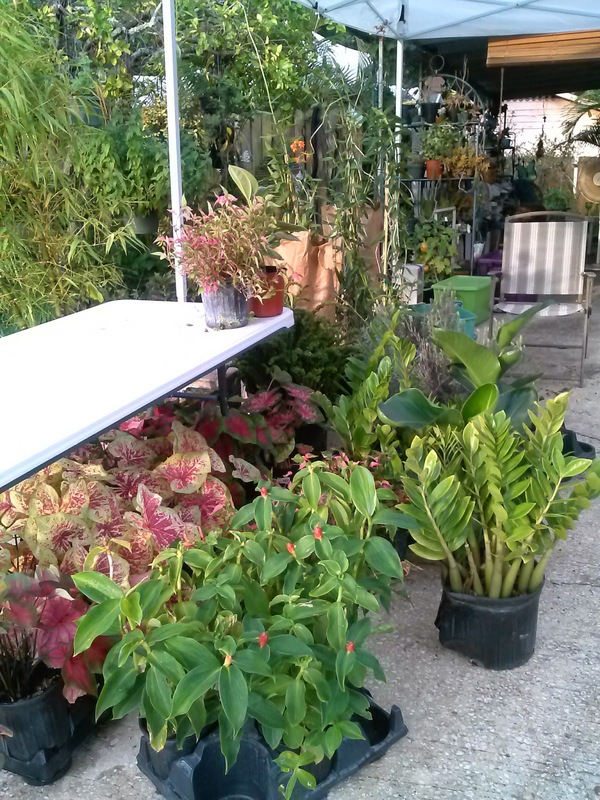 What: Exotic tropicals, Herbs, Succulents, Fruiting vines, Butterfly Gardening perennials, Hollyhocks, Tropicals for house and home, Caladiums, Bamboo, Bananas, and much much more ! Our precious Butterfly wing is coming back from dormancy and loving the heat and humidity. 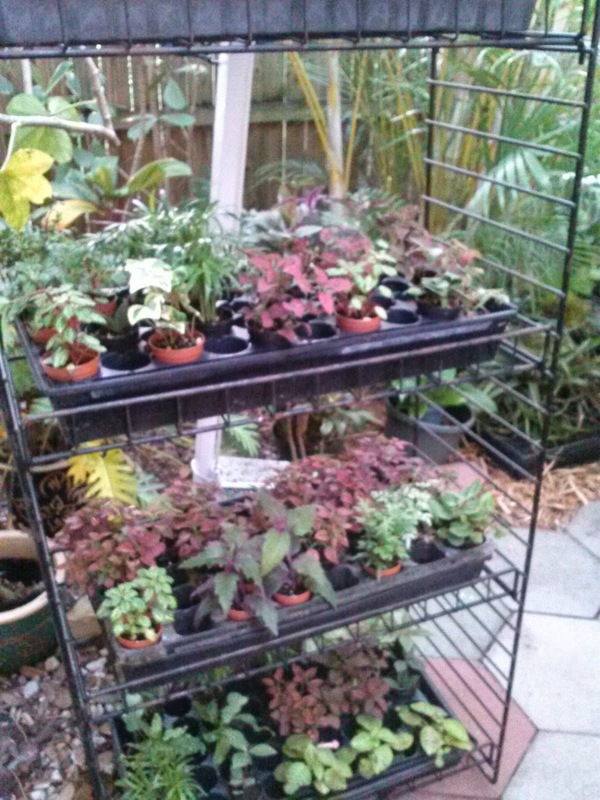 Cone Gingers and Caladiums are ready to brighten up your shade gardens. 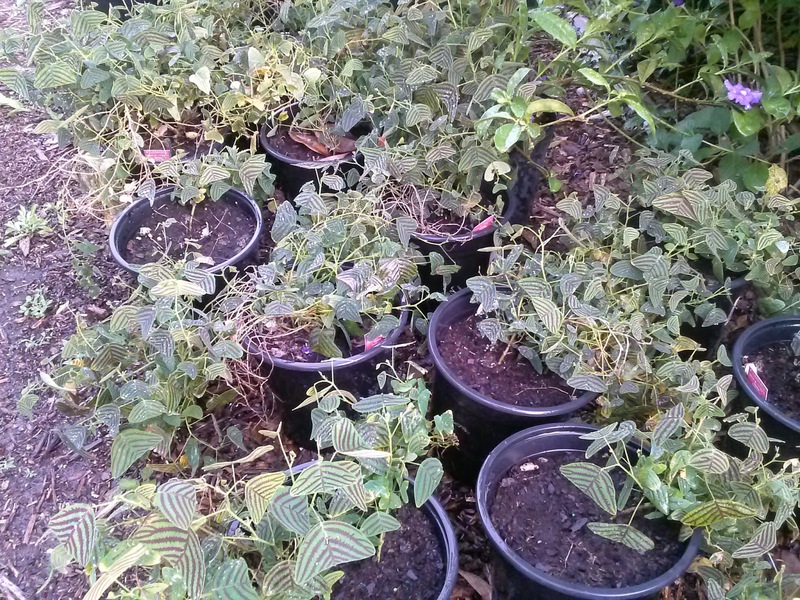 Our popular Mini Tropicals are ready for your Terrariums, Fairy Gardens and they do great in offices and windowsills. Vines, vines, vines, everywhere a Vine ! 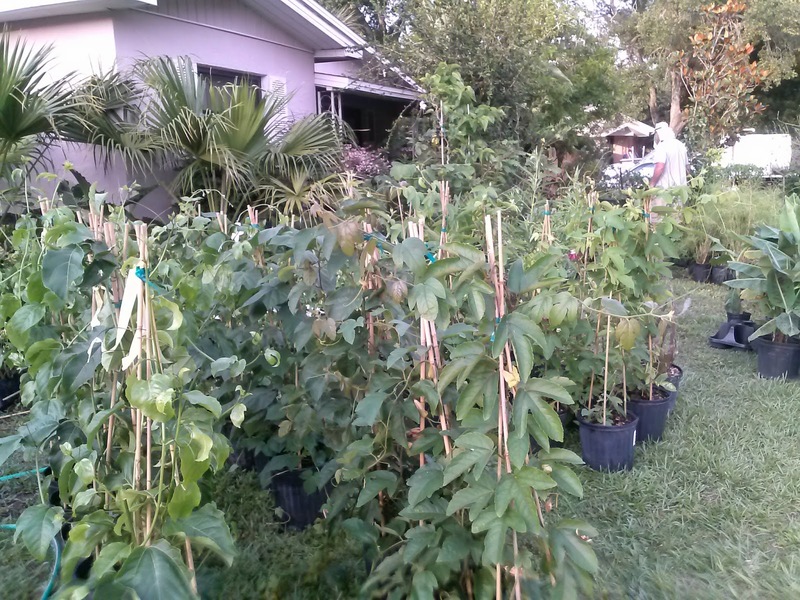 We are full in stock on Purple Passion Fruit Vine, Yellow Passion Fruit Vine, Alata Ceruella, Lady Margaret, Red Vitafolia and Morning Glories. Hardy perennials for your summer garden, that are lovely to look at and they make Butterflies very happy. 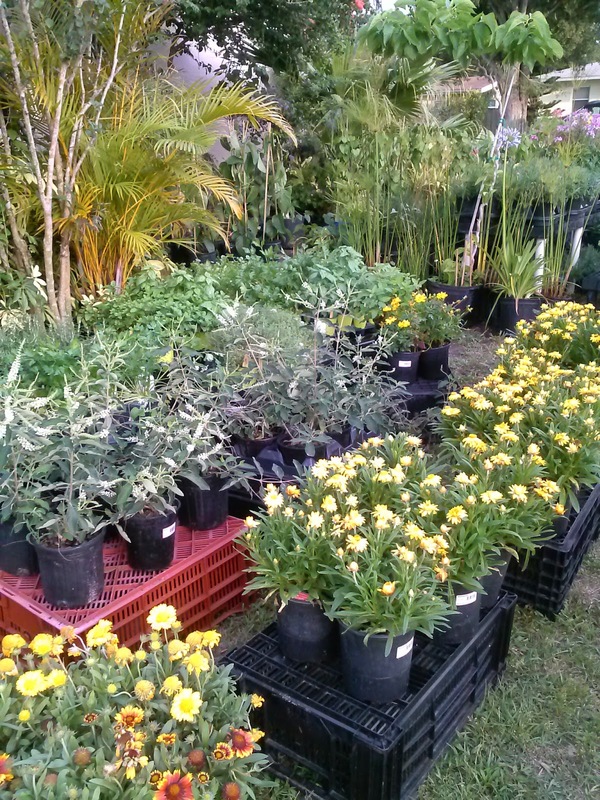 Milkweed, Gallardia, Straw flower, Lavender, Russian Sage and more. 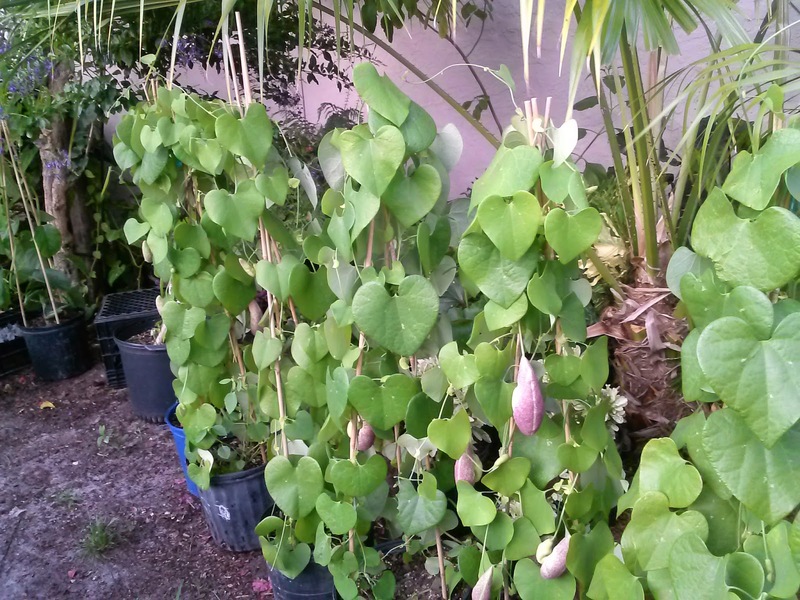 Our Dutchman Pipe Vines are just loading with buds and Blooms. This vine is a must for hosting Swallowtail butterflies and the blooms are out of this world. 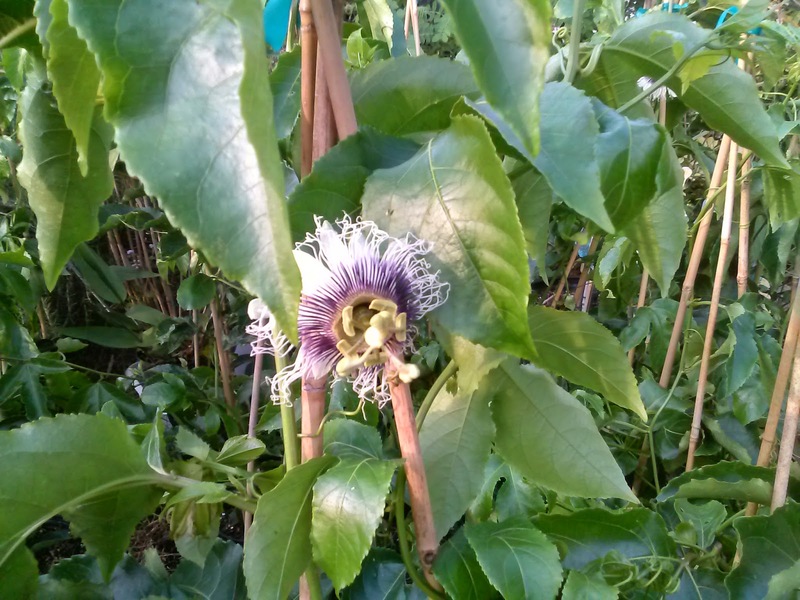 Purple Possem passion fruit vine are blooming and many of them already had fruit ripening on the vines. 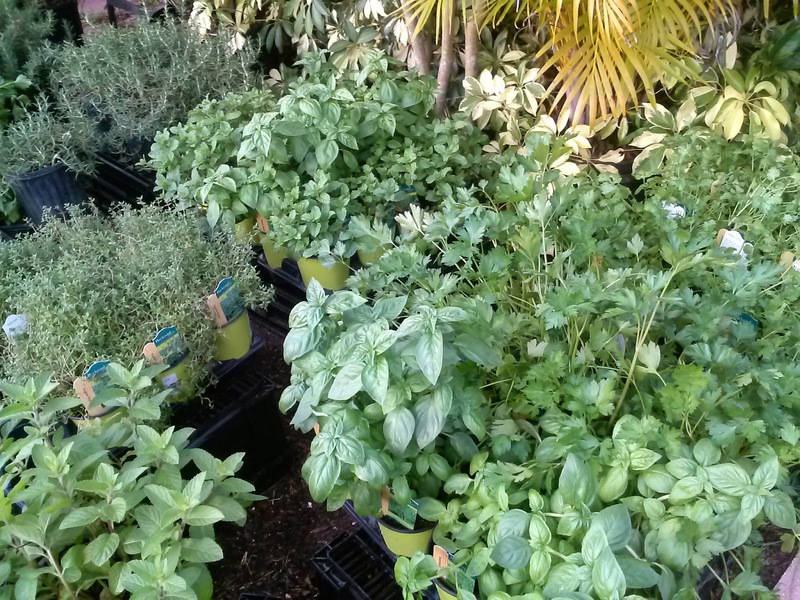 Very healthy to eat, many of our customers love to use them in their juicing. 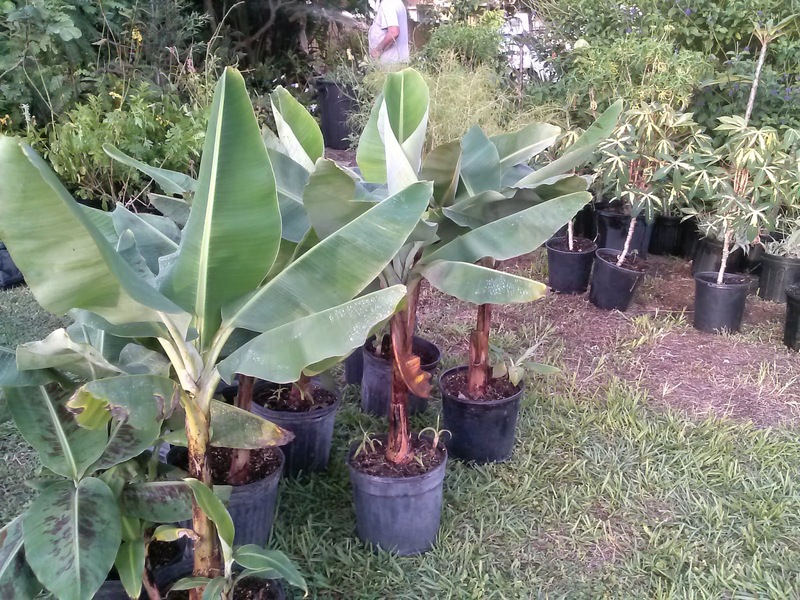 Right now, we have the widest selection of Tropicals that love the shade outdoors, or they can grace inside your home or office. 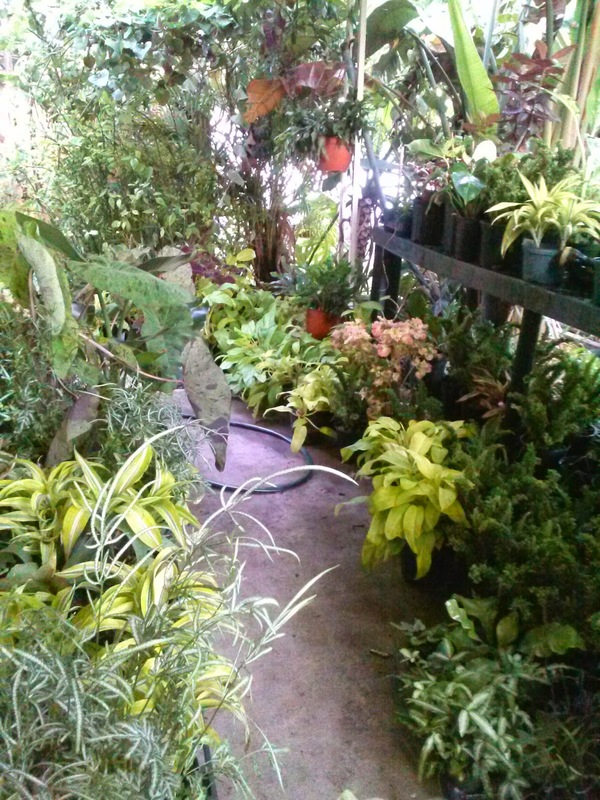 Selection includes Ferns, Philodendron, Dracena, Austrailian Tree Fern, Mojito alocasia, Epidendron orchids, Caladiums, Gingers and big leaf Tibouchina. These Mojito alocasias are one of our favorites..the variegation is lovely and no 2 leaves are the same. 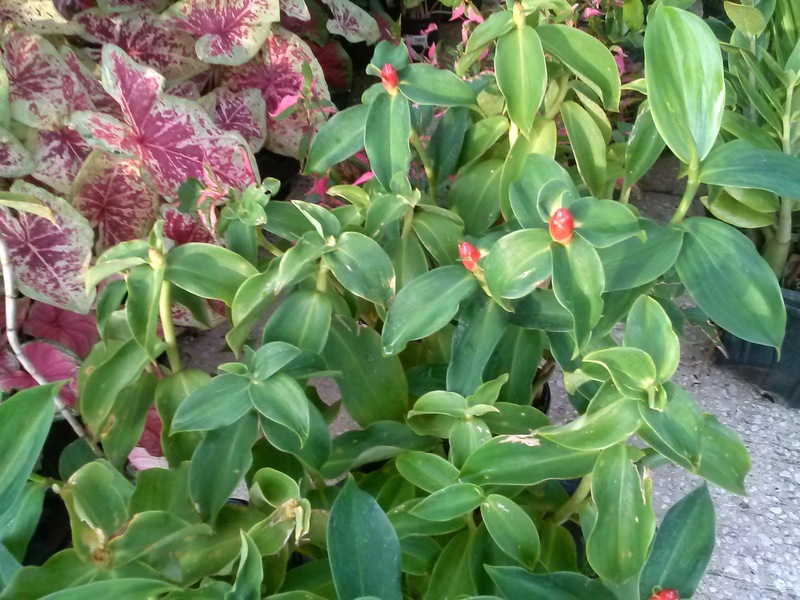 A non-invasive clumper, they constantly put out new shoots and offer nice texture and color to shady areas. 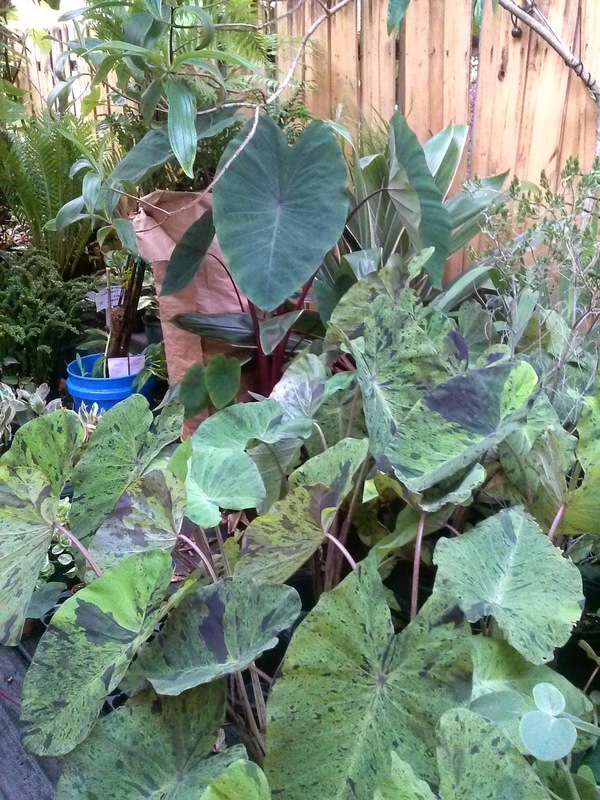 Caladiums are very popular because they provide a wide variety of color and texture for shade gardens. EZ to grow, these bulbs multiply every season. Cone Gingers are budding out after winter dormancy. ZeeZee plant is a house and office favorite as it can go for very long periods without watering. Excellent for use in containers, I love to find a pretty pot, plant the ZZ, then cover the soil top with loose rocks...pretty to look at and low maintenance. 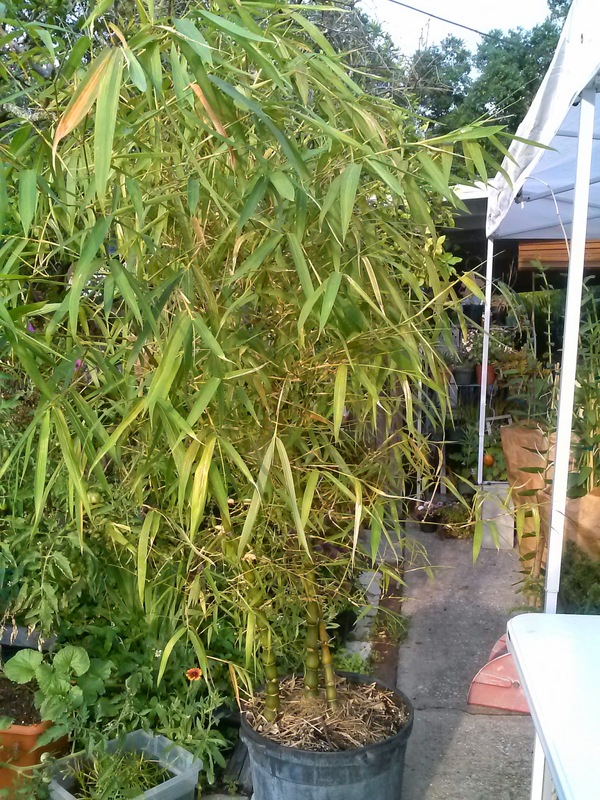 Mitch is actually willing to release some of his treasured Bamboo for sale ! This Buddah Belly grows fast, providing coverage and height in the garden. We hope to see you at Market, and we hope to see you at the Yard Plant Sale - and a very Happy Mother's Day to all the special women in our lives !